They always say “never go into the light,” kind of like “moths drawn to a flame,” but seventeen-year-old Keisha didn’t have a choice. Well, that wasn’t true. She did have a choice. She could choose to let the world burn, but after two astonishing adventures into another reality, she’d gotten used to saving it instead. Whatever was shining through the kitchen door from the backyard started thirty minutes ago. That had given her enough time to put on the ridiculous costume that looked like a refuge from the first “Back to the Future” movie. When she saw her reflection in the mirror, there was a black version of “I Love Lucy” staring back. She’d crossed the void to the other world twice before. The first time was in a steampunk-styled airship, and the second was in a deep purple 1930s sedan with the strangest radio in the world. 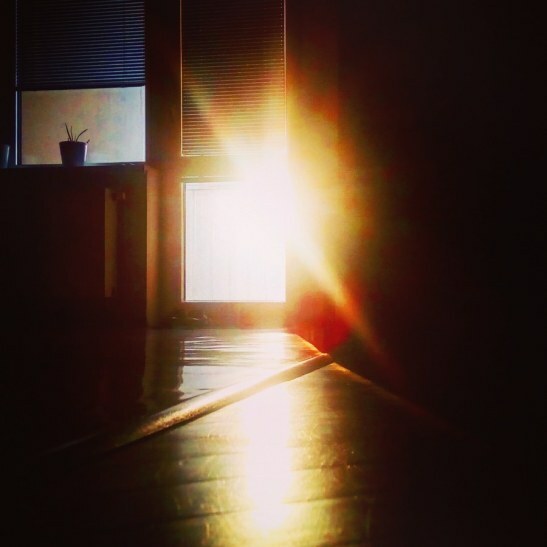 What would she find this time when she walked into the brilliant amber glare? “There’s only one way to find out.” Keisha opened the door and stepped outside, blindly pulling it closed behind her. From the light, she heard what sounded like a train, then the scream of jets or rockets from overhead, and then something that made the ground shake. The deep, resonate voice came from somewhere in front and above her. It was a giant talking to her. Then the light vanished. When her eyes finally adjusted, she saw what made the loud, clanking noises like a colossus walking the Earth. It was a huge mecha, a Gundam. “Where am I?” She was in Disneyland; in Futureworld, but the way it looked in pictures from when her Grandpa was a kid. Somewhere in the background, she heard singing. “Keisha.” The robot was talking to her again. Then a section of the head separated and moved back revealing a guy about her age. He looked like her older brother did when he was in high school except more nerdy. She looked from the skinny kid with glasses and greased back hair to the world around her again. It wasn’t some throwback to 1955 Disneyland. 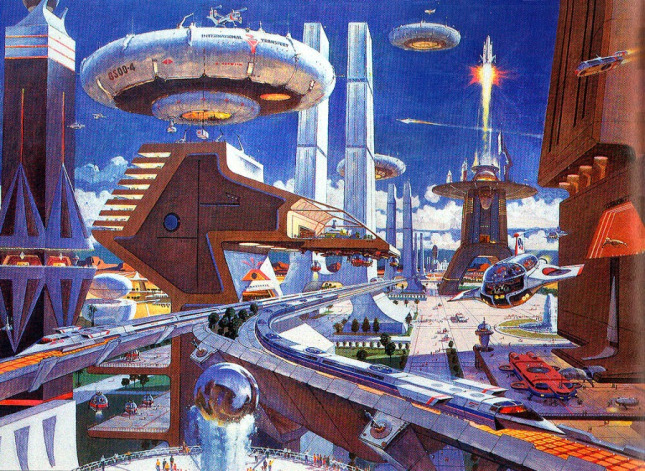 This was San Francisco, but a San Francisco with elevated monorails, jet helicopters, rockets being launched from high rises, and cars zipping overhead suspended on hover beams. One of the robot’s legs opened up and a metallic stairway extended in front of her. Keisha Davis ran forward and up, leaping into her latest adventure in Atomworld. I wrote this for Tale Weaver- #171- May 17th – Light hosted at Mindlovemisery Menagerie. Today, the prompt is “light,” which can use the associated photo or just be a creative work using the topic of illumination. I decided to once again press Keisha Davis into service. She is currently in a steampunk-themed adventure, but after that one concludes, I want to write about her dieselpunk adventures. Another cyberpunk derivative is Atompunk which would be something like how people in the 1950s thought the 21st century would look and feel. Oh, I threw in a Gundam-like Mecha just for giggles. One more thing. If you didn’t recognize the lyrics above, they’re from Fats Domino’s rendition of Ain’t That a Shame (YouTube video). Kind of. If you ever get your hands on old copies of “Scientific American” and “Popular Mechanics” from the 1950s and 60s and see how they imagined the 21st century back then, you will have a pretty good idea of what I was trying to describe. You could also just do an Google image search for “atompunk art” and achieve more or less the same thing. Very cool. Just followed. I follow a number of similar groups on Facebook. Rocket Patrol isn’t so much art, although sometimes retro scifi art is posted, but it’s more general classic scifi info, trivia, models, and so forth. Fascinating as always James and glad you are finding new ways to engage your characters. Thanks so much for contributing to the Tale Weaver….those old images of the future from back in the 50’s and 60’s are interesting in how many have become reality. It’s also pretty amazing though not surprising, what we didn’t achieve, at least not yet. Thanks.